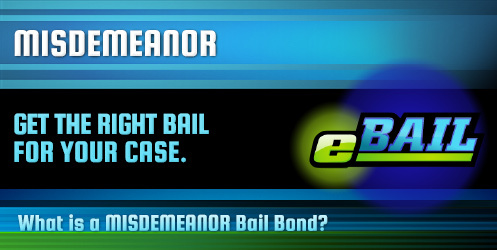 eBAIL provides Fast, Cheap, Online Misdemeanor Bail Bonds in Las Vegas, Nevada 24/7. Also serving Misdemeanor Bail Bonds in North Las Vegas, Henderson, Boulder City, and Nationwide. When faced with misdemeanor charges in Las Vegas, you may not be arrested before the initial hearing. At the hearing, the judge may determine the need to set a bail amount or to insist on the necessity of a Misdemeanor Bail Bond in order to avoid jail time while awaiting the trial. Bail is a payment used as a type of guarantee that the accused will return to attend the trial. A Misdemeanor Bail Bond is used when you cannot afford to pay the full amount of the bail set by the judge. By Las Vegas law, the price of a bail bond is set at 15% of the bail amount and is paid to a bondsman who will pay the full amount of bail on the defendant’s behalf. If you receive a summons for misdemeanor charges, it might be helpful to contact a Las Vegas bail bondsman prior to the initial hearing to discuss bond issues that may help prevent jail time. Which Jails Accept Misdemeanor Bail Bonds? The best way to avoid jail time for misdemeanor charges is to obtain the services of a bondsman for a Misdemeanor Bail Bond. However, if you are arrested and booked into jail, you will need to wait for an initial hearing in order for the judge to determine a bail amount in order for you to be released to wait for your trial. Once bail is set, there are several ways to be released from jail. Pay the full amount. You may be able to pay the full amount of bail set by the judge. This bail amount will be returned to you after the trial after any court fees and costs have been subtracted. Pay 15% of the bail amount. You may wish to purchase a bail bond at 15% of the amount of bail that is set by the judge. This 15% is paid to a bail bondsman for services rendered and is not returned after the trial. Hire a criminal defense attorney. A lawyer can be retained to help reduce or eliminate the amount of bail. However, it takes time for an attorney to get to speak with the judge on your behalf. This can result in additional jail time with waits of several days to possibly several weeks to be released. There are several factors that determine how long it takes to be released from jail, even for misdemeanor charges. After bail has been paid or bond arrangements have been made, it typically takes an additional 6 to 16 hours to complete the release process. It may take longer due to difficulties occurring within the jail or if it is a holiday or over the weekend. This can often be avoided with a Misdemeanor Bail Bond. 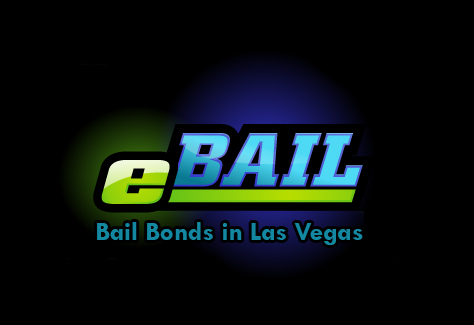 eBAIL is experienced in every phase of the bail bonding process in Las Vegas and surrounding areas. Fully licensed by the State of Nevada, eBAIL is also accredited by the Better Business Bureau. The bondsmen at eBAIL help you through the bond process with courtesy and respect. The professional bondsmen at eBAIL can help you with payment arrangements for the 15% bail bond amount as well. The service is quick and easy, and payments can be made over the phone or even online.